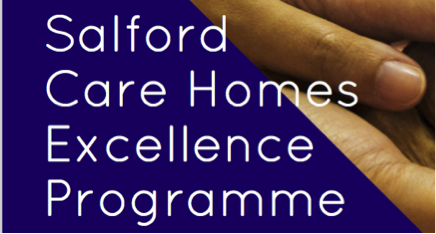 On Wednesday 3rd October, we hosted the 3rd event in our Salford Care Homes Excellence Programme series. We hear all about Edna, Kurt’s Nan. She suffered from small strokes and so needed to go into residential care. It brings joy to Kurt when he knows that she is receiving good care. Attendees were invited to get to know each other a little better by discussing what their very first job was. This ice-breaker encouraged everyone in the room to talk to someone they didn’t know and learn something new about one another. Handing over to Jo Evans, Senior Improvement Advisor at Haelo to reflect back on content from previous events. Jo then looked back on why are we getting together at these events? She notes the importance of not just talking about care homes in an isolated way, there is a much broader system across Salford, encompassing many other people and organisations, that all work together to provide the best care. Who are all the people involved in ensuring quality for residents in care homes in Salford? It’s a community; bringing together all the different people we’re working with. We also revisited the Glimpses of Brilliance. We often overlook the good things and what we’re proud of, and so it’s nice to be reminded of the good stuff going on every day. This event is focusing on the tools and methods that can help you improve your care homes. Jo shares a video of a great example of a care home that has implemented a change. Pills: The Medicine Review Project. Participants were invited to self-select a topic they wanted to focus on for the rest of the day and sit at the appropriate table. They are then asked to brainstorm the problems and issues in their own care homes, relating to the chosen topic on that particular table. Each table was given 60 seconds to each feedback. Link between management and leaders. Trying to work out what is leadership. What are the barriers in leadership? Kurt takes us through a good aim vs a bad aim, showing us some examples along the way. Good aim – 95% of new residents will have a completed falls risk assessment and documented care plan within 24 hours of admission to our care by March 2019. Hayley Moore, Inspection Manager from the CQC introduces the next session. Hayley reinforces that these sessions are a safe space for learning and development. She notes the importance to involve staff in learning from an incident. If they understand the methodology they will be able to apply it moving forward. Back over to Kurt now, who asks attendees to attempt to write an aim for one of their problems. It’s not easy to write a really specific aim. The broader it gets, the more diluted it gets, and therefore harder to succeed. Kurt takes us through some more methodology to help us understand how we can begin to draft our aim; often what we perceive to be the problems is a crisis. We need to increase our leverage for improvement and not just firefight. We need to understand the data and what patterns are there. The key to solving a problem is to first truly understand it. Kurt now asks attendees to pick a problem statement, perform the 5 Whys and then review the root cause. We next move on to data, and how we can collect it. If we’re going to measure improvement, we need to understand what is happening over time. Ultimately what we’re trying to do is to improve the reliability of our processes. You need to build a measurement strategy to look at your key processes and interventions, to see if there is any variation. We need to get rid of the anecdotes, and just use the data. The afternoon kicks off with Jackie Burrow, Assistant Director of Nursing, Integrated Care Organisation, as we begin our focus on safer handover. Jackie reinforces that there are lots of opportunities here and we need to utilise this protected time. We have a huge resource to rely on as part of the ICO. This is the start of a conversation, with something to build on. We should also be looking at waste. Jo gives us some common examples of waste: talent / skills, errors, movement, repetition, over-production, time and transport. There were a lot of similar discussions happening in each of the groups- which shows there are a lot of the same issues. It is also noted how invaluable it is to have a wide range of professions here because it highlights the broad spectrum of people that can work with individual patients. In the final session of the afternoon, we looked at how we can develop ideas for change. The next activity asked teams to come up with one problem related to their process that they would like to develop some new ideas around. 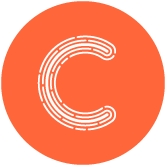 We were introduced to SCAMPER, a checklist creativity technique. Participants used the tool by asking questions about existing products, processes or services using each of the 7 prompts. These questions can help you come up with creative ideas for developing new concepts and for improving current ones. The day ended by showing Alive Inside: Henry’s Story. An inspiring film showing the huge impact often small changes can have to individual’s care.